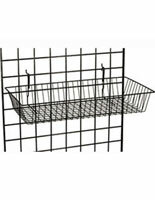 This Gridwall Basket Can Hold Many Items! 12-inch Depth Angles to 4 Inches Deep At Front! 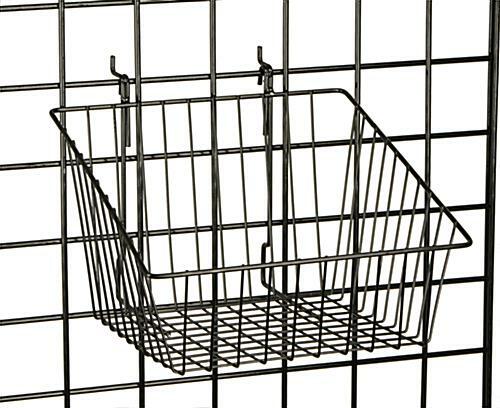 Choose from Many Different Sized Gridwall Basket Attachments Available In Stock Online! 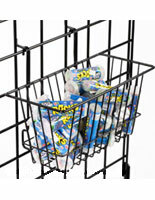 Durable steel with black finish looks great. Hooks at back install easily to grid wall panels.